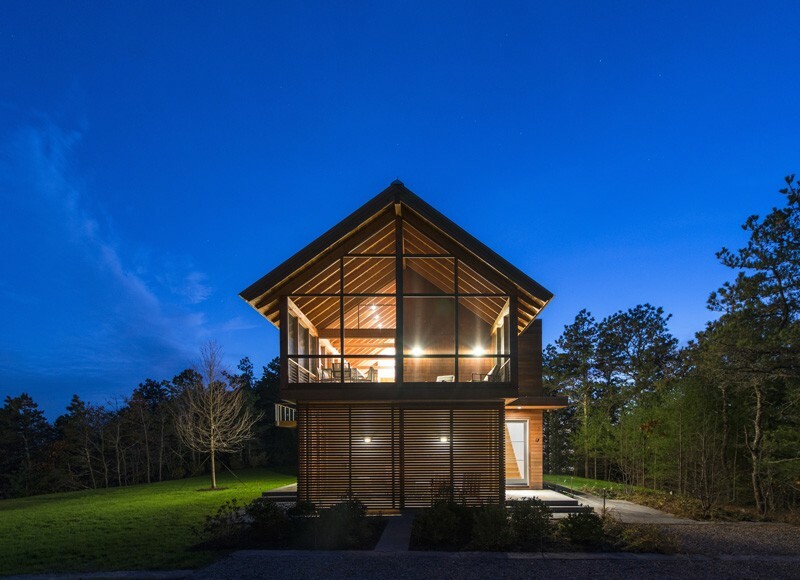 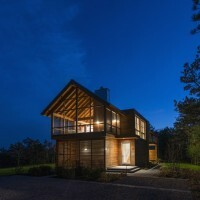 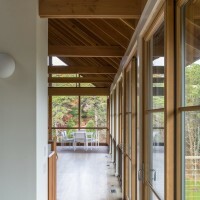 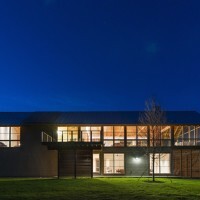 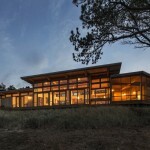 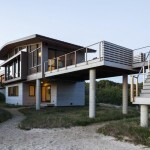 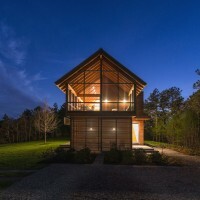 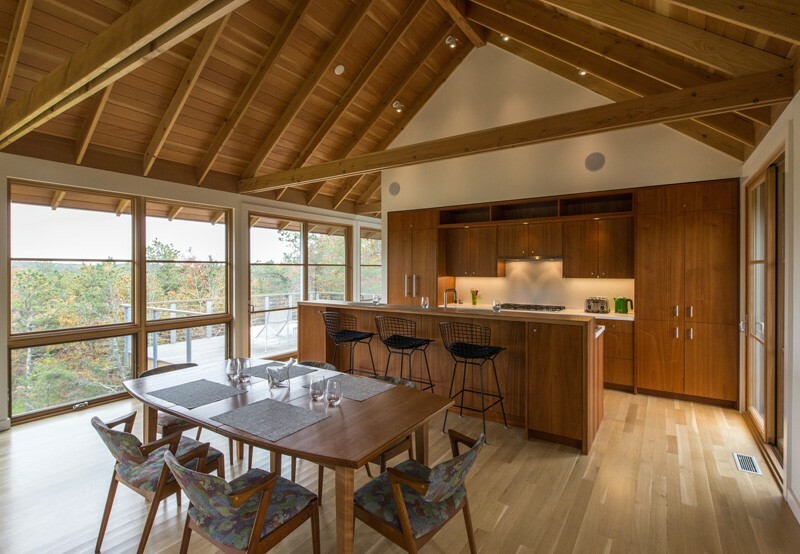 Hammer Architects have designed the North Pamet Ridge House, that is surrounded by woodland in Truro, Massachusetts. 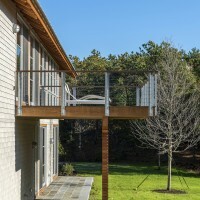 The design evolved to become an upside-down house with guest rooms on the lower level and the living spaces and master bedroom above. 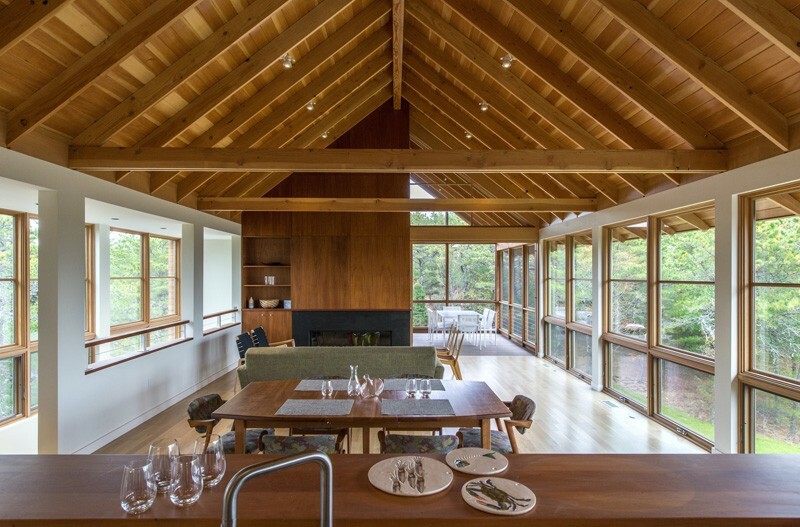 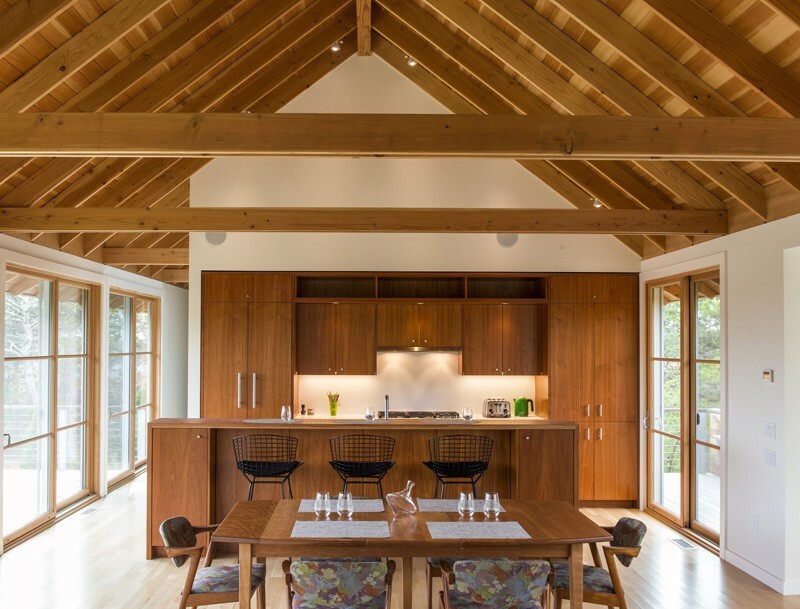 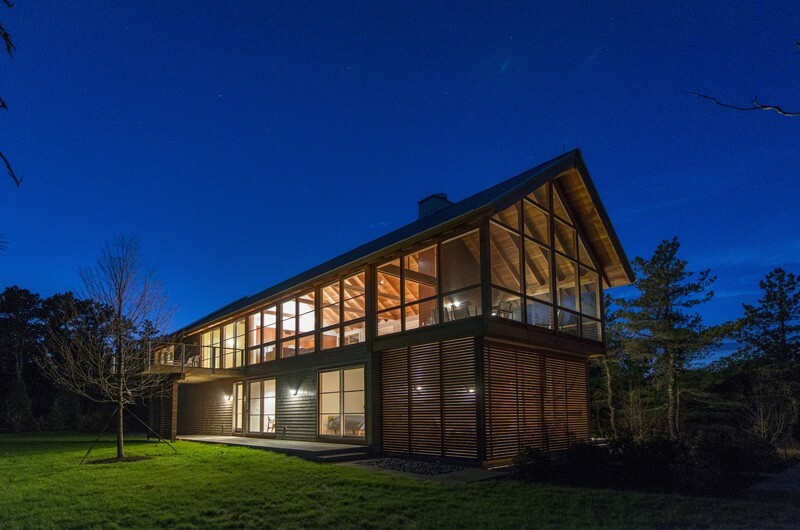 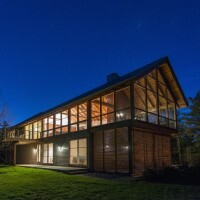 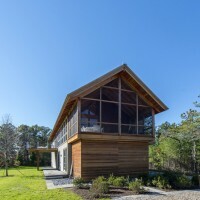 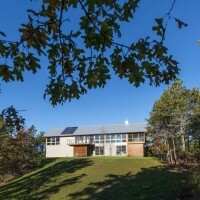 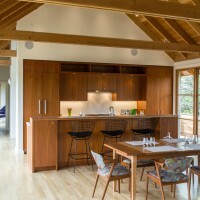 he simple shape with its nine and twelve gable roof can be viewed as an extruded Cape Cod cottage while the exposed wood structure recalls rustic cabins. 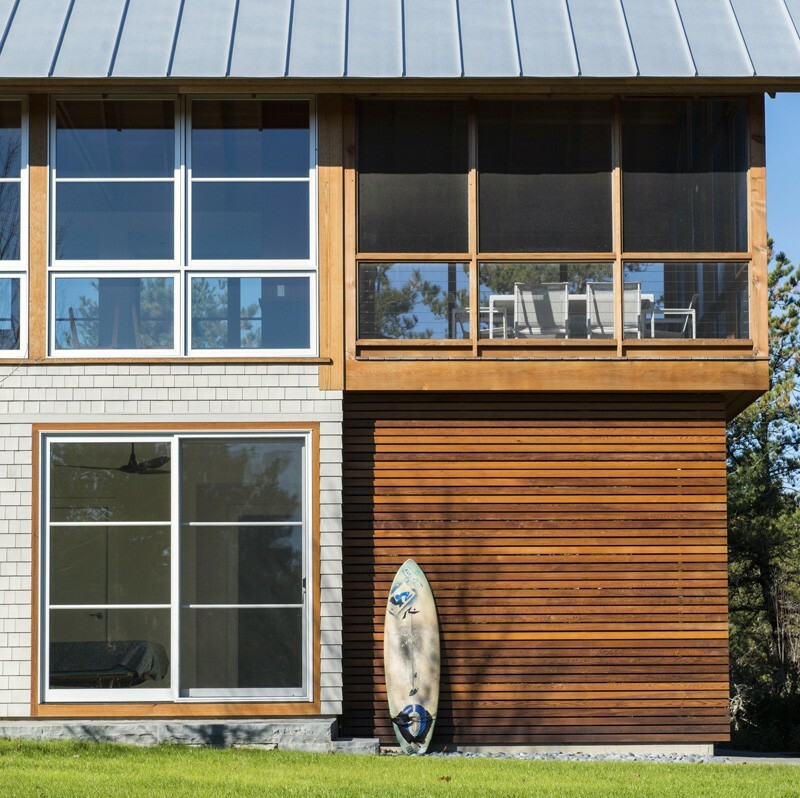 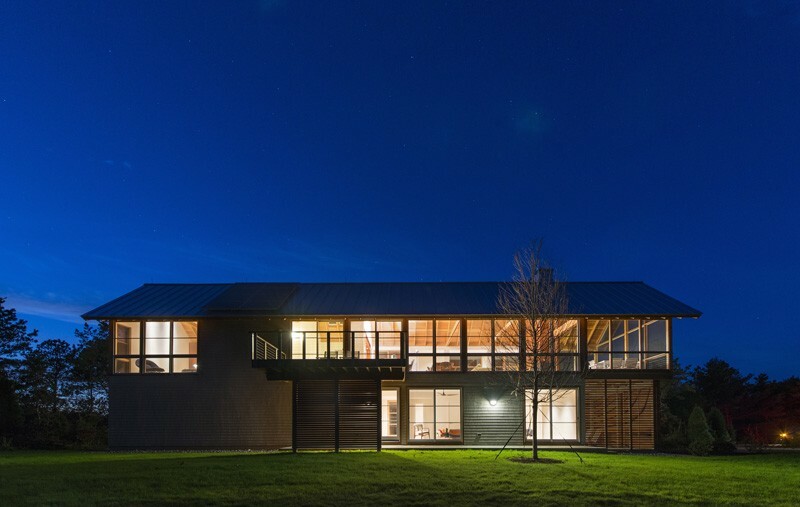 Extensive use of glass opens the home to the outdoors and in turn offers long vistas and cooling breezes. 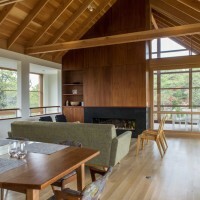 The end of the form opens to a screened in porch, which is accessed via a large sliding glass wall that is concealed behind the fireplace when open. 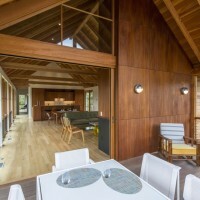 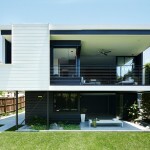 This transition further blurs the distinction between inside and outside.